Don’t mistake forgiveness of sin as dominion over sin. The Lord is faithful to forgive us our sin when we repent and ask forgiveness. Any born again Believer hates sin, whether it be their sin or others. Grace is the answer to overcome sin; not 21 days of this, 31 days of that or 40 days of purpose…but Grace, GOD’s Grace. The Holy Spirit is not commissioned to free us from the law of sin and death when our faith is placed in various methods from the vanities of man’s mind…no matter how Scriptural they may seem. We may indeed be forgiven of our sin but are we delivered from sin’s dominion? 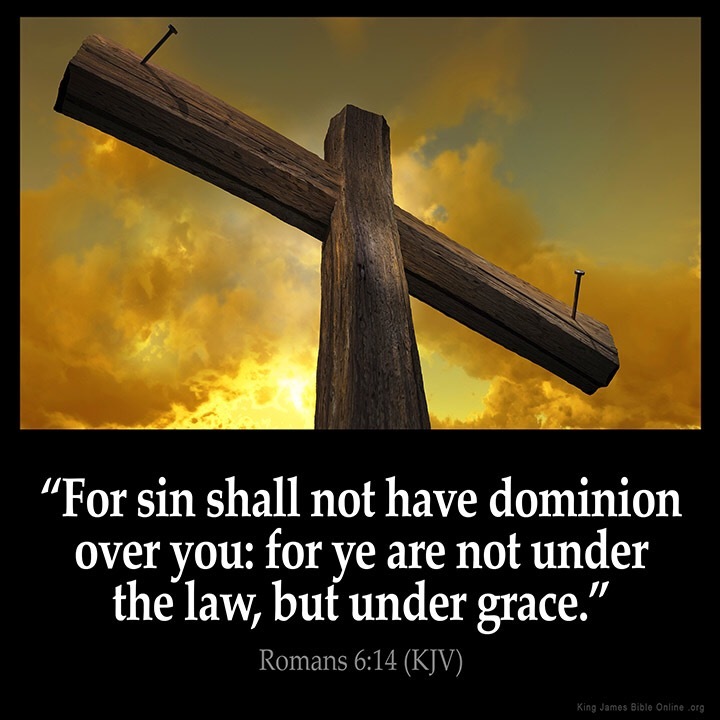 Grace requires faith…faith in the atoning work of Jesus Christ on Calvary’s Cross to break the power of sin in the Believer’s life. Fight the good fight of faith – faith in Jesus Christ and Him crucified and sin shall no longer have dominion over you.